Only the best, most reliable components available are utilized in TROY rifles, and the Alpha Carbine is no exception. Built around our world-famous and highly sought after Alpha Rail®, operators will appreciate the manufacturing excellence and attention to detail in the design. 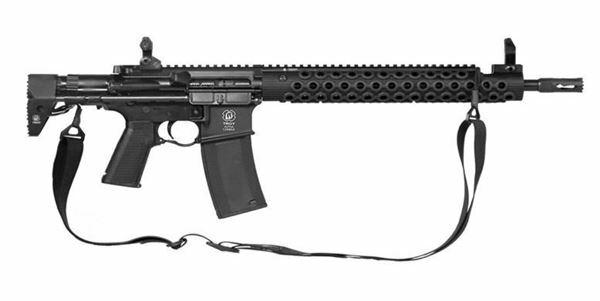 TROY’s new Alpha Carbine features TROY top-sellers: 13” Alpha Rail with Built-In Flip-Up BattleSight, Standard TROY Rear Folding BattleSight, Squid Grips®, Pinned Medieval™ Flash Suppressor, Proctor Sling, and the newly released PDW stock.